A in right field. SMTES' in Exergue. turreted woman and holding victory on globe in left. 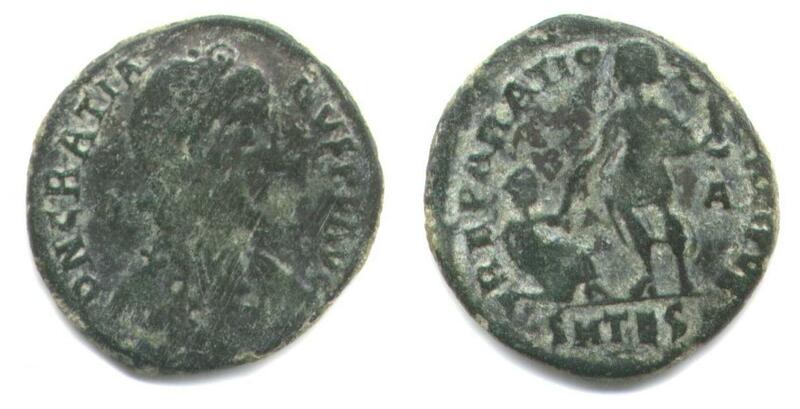 Minted at the first officina in Thessalonica (Saloniki, Greece) between August 9, 378 and August 25, 383 A.D.